To claim this profile, please confirm you are Marlen Reyes. To follow this profile, please let us know your relationship to Marlen Reyes. RESULTLoss Girls varsity basketball @ Tehachapi. The Santa Maria varsity basketball team lost Tuesday's away playoff game against Tehachapi (CA) by a score of 55-20. This game is part of the "Central Section CIF Les Schwab Girls Basketball Championships - Divison 2" tournament. Marlen's basketball stats have been updated for the win vs. Atascadero. RESULTWin Girls varsity basketball vs. Atascadero. The Santa Maria varsity basketball team won Tuesday's home conference game against Atascadero (CA) by a score of 60-43. 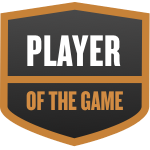 Marlen was selected the Player of the Game in the basketball game against Orcutt Academy on Tue, Jan 08 2019. Congratulations to #30 Marlen Reyes for being selected the Santa Maria Girls Basketball Player of the Game. Marlen's basketball stats have been updated for the win @ Morro Bay. RESULTWin Girls varsity basketball @ Morro Bay. The Santa Maria varsity basketball team won Friday's away conference game against Morro Bay (CA) by a score of 42-39. Marlen's basketball stats have been updated for the loss @ Orcutt Academy. RESULTLoss Girls varsity basketball @ Orcutt Academy. The Santa Maria varsity basketball team lost Friday's away conference game against Orcutt Academy (Orcutt, CA) by a score of 57-55. Marlen's basketball stats have been updated for the loss vs. Pioneer Valley. RESULTLoss Girls varsity basketball vs. Pioneer Valley. The Santa Maria varsity basketball team lost Tuesday's home conference game against rival school Pioneer Valley (Santa Maria, CA) by a score of 63-50. Marlen's basketball stats have been updated for the loss @ Templeton. RESULTLoss Girls varsity basketball @ Templeton. The Santa Maria varsity basketball team lost Friday's away conference game against Templeton (CA) by a score of 40-33. Marlen's basketball stats have been updated for the loss @ Nipomo. RESULTLoss Girls varsity basketball @ Nipomo. The Santa Maria varsity basketball team lost Tuesday's away conference game against Nipomo (CA) by a score of 63-33. Marlen's basketball stats have been updated for the loss vs. Orcutt Academy. RESULTLoss Girls varsity basketball vs. Orcutt Academy. The Santa Maria varsity basketball team lost Tuesday's home conference game against Orcutt Academy (Orcutt, CA) by a score of 63-38. Marlen's basketball stats have been updated for the loss @ Pioneer Valley. RESULTLoss Girls varsity basketball @ Pioneer Valley. The Santa Maria varsity basketball team lost Friday's away conference game against rival school Pioneer Valley (Santa Maria, CA) by a score of 59-45. RESULTWin Girls varsity basketball vs. Coastal Christian. The Santa Maria varsity basketball team won Saturday's neutral tournament game against Coastal Christian (Arroyo Grande, CA) by a score of 57-14.